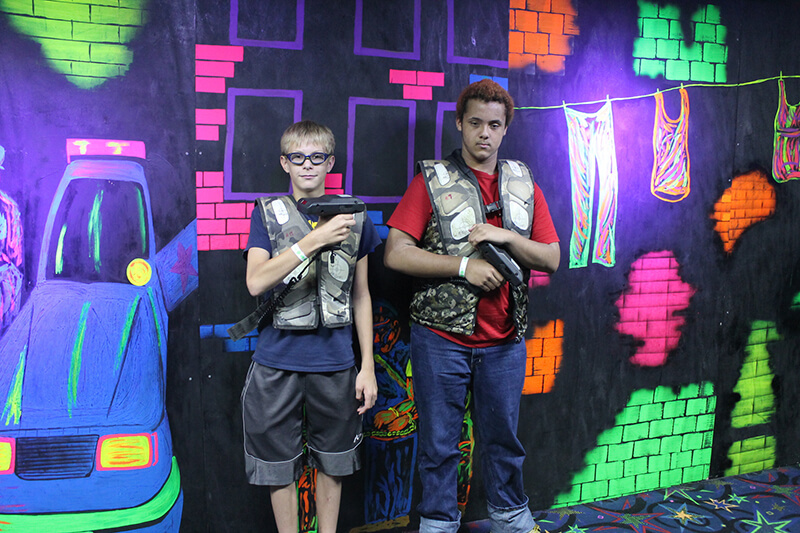 Olympic Fun Center has a top notch Lazer Runner System located in a 2800 square foot black light glow arena. 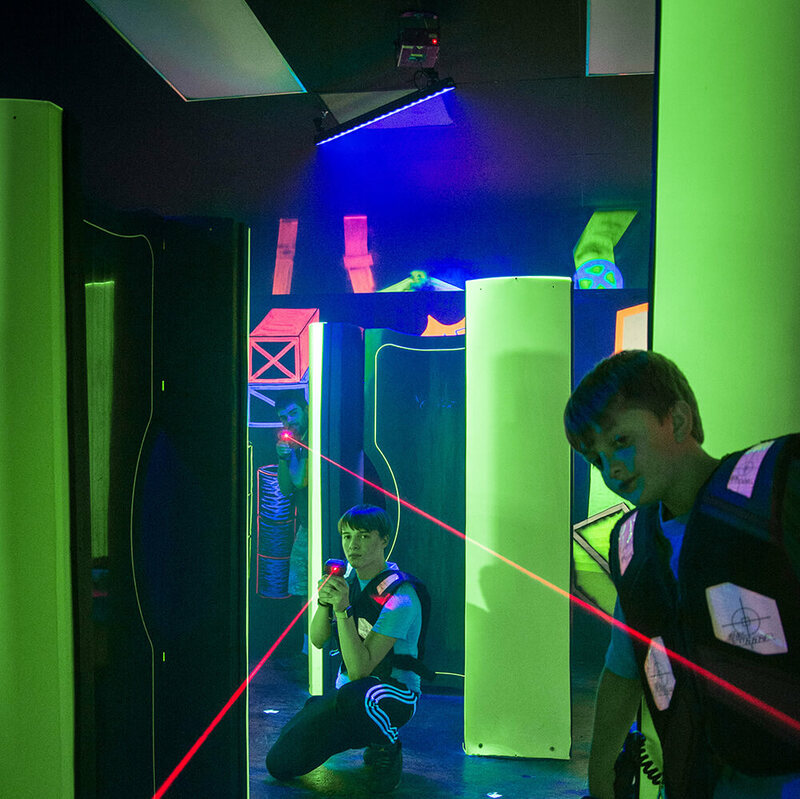 Hide behind barriers and shoot your opponent with your Lazer gun! But watch out – They will shoot you back! 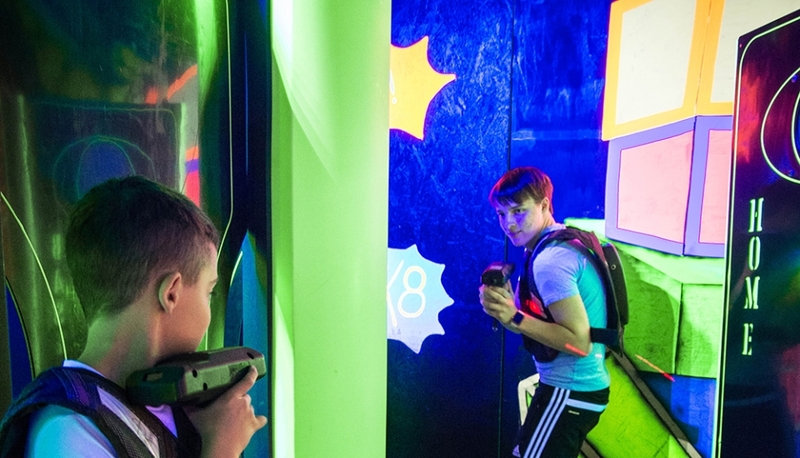 The Lazer Tag experience usually lasts about 10 minutes. 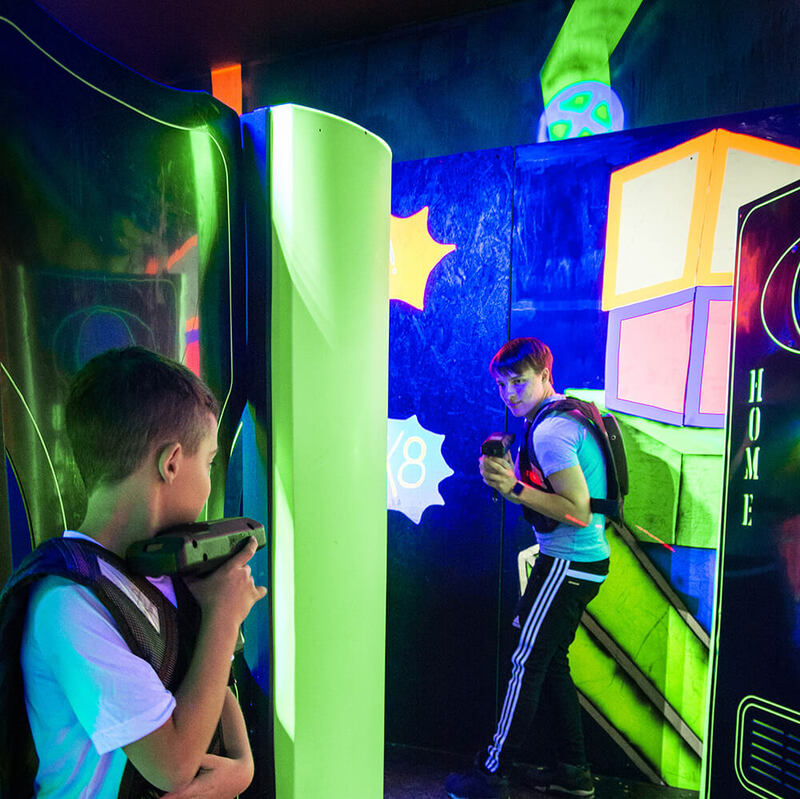 Upon entering our Lazer Tag briefing room, our staff will review the safety rules and how the equipment works. 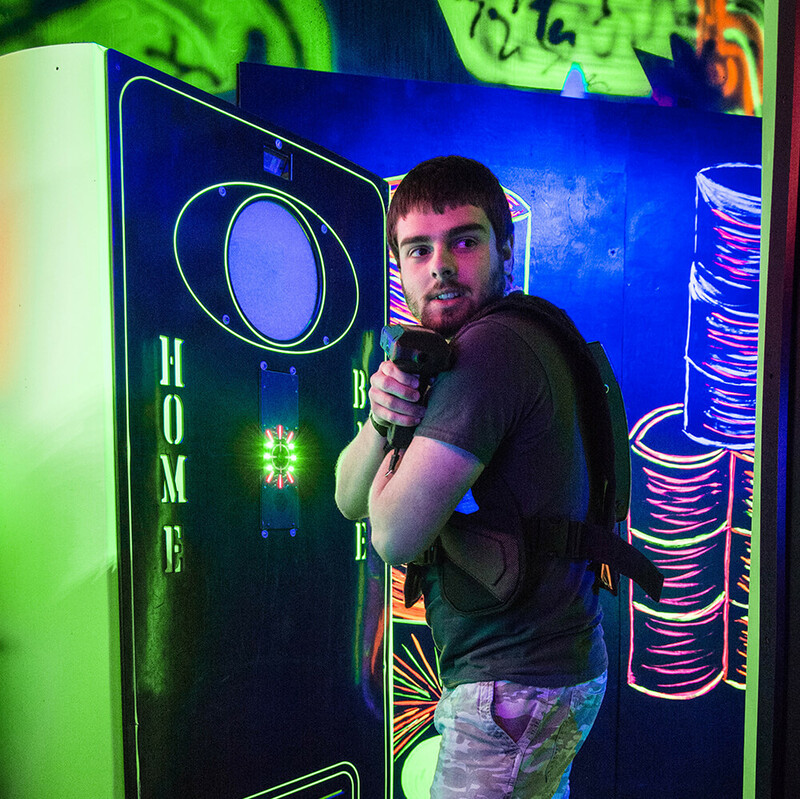 The players will vest up for the fun to begin. Scores will be kept during the game for you to see once the game is over.